Would you like to support the work of the Jamestowne Society? The 400th Anniversary Events for the Jamestowne Society July 27-29th, 2019 are all sold out. Jamestowne Society recognized as $150,000 donor to Jamestown Rediscovery in support of ongoing archaeology in and around the 1907 Memorial Church. Click here to read more. Click here for the Spring 2019 edition of the Jamestowne Society Magazine. Please note that the file is quite large and may take a bit of time to appear. 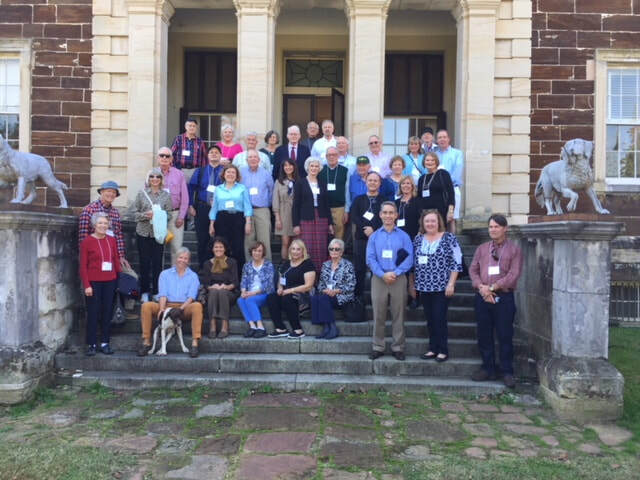 Registration forms for Upcoming 2019 Jamestowne Society Events and Meetings including Heritage Week in DC and 400th Anniversary in Williamsburg/Jamestowne Island are now online under the EVENTS tab. Two new ancestors added to list of Qualifying Ancestors: William Lee A9733 d. 1703 Northumberland, 1693 (Burgess) and Cuthbert Span A9734 b. 1651 d. 1696 Northumberland, 1693 (Burgess) - Northumberland County was omitted from Leonard’s The General Assembly of Virginia 1619-1978 for the Fall session. Click here for the Revolutionary War Era couples to Jamestowne Society Qualifying Ancestor project list, last updated October 30 2018. Members of the Jamestowne Society are descended from early settlers who lived or held colonial government positions in Jamestowne, Virginia prior to 1700, or who invested in its establishment. The Jamestowne Society was organized for educational, historical, and patriotic purposes. The Society has a range of activities, from visiting early American sites, providing an annual graduate fellowship for research on Colonial Virginia prior to 1700, funding the restoration of records, and supporting preservation of Colonial sites. Want to learn more about Jamestowne during the period 1607-1700, the Jamestowne Society, and its members? You are in the right place!